Isolated queen’s pawn positions can arise from many different opening systems, either with white or black pieces. 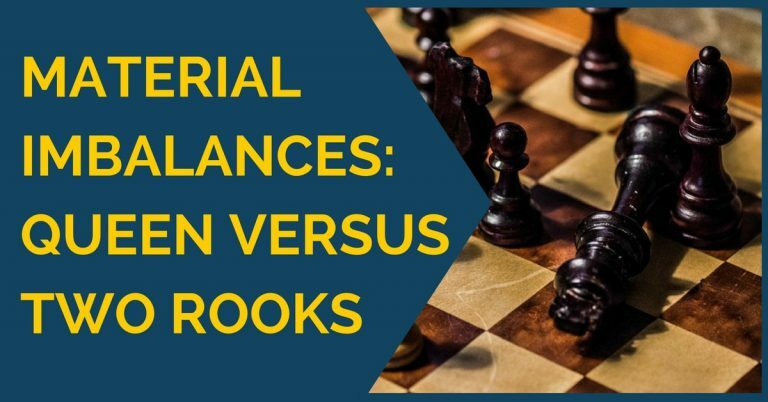 I’ve always found curious how Grandmasters enjoy playing IQP positions on either side, sometimes fighting against the isolated central pawn, sometimes with it, exploiting its benefits to the maximum. These positions seem to have a special charm for chess players. Must be because they are so rich in ideas that can be played that there are chances to put up a good battle. Every chess player must know how to play with the isolated queen’s pawn, even if in his opening repertoire the positions with IQP are unlikely to arise. Why? IQP positions contain so many tactical and positional elements that by studying them, you will also be strengthening your chess understanding in general. 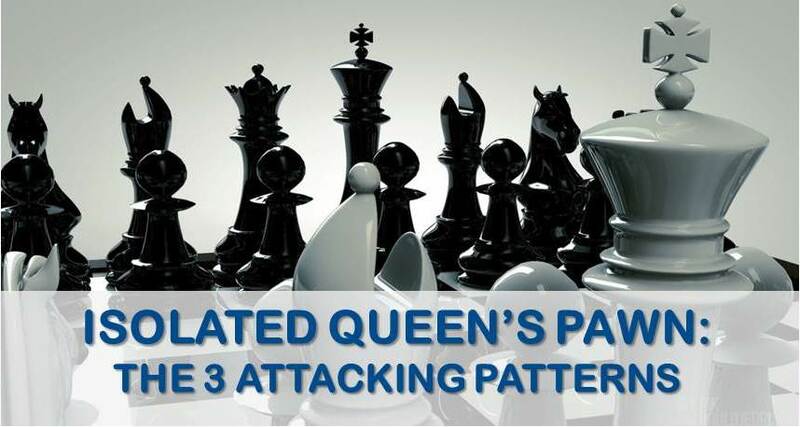 In this article we are going to have a look at some of the attacking patterns we can play when we have an isolated central queen’s pawn. Of course, there are some basic concepts you must already know. However, here is a quick reminder. 1. Avoid trading pieces – Passivity is the real enemy here. We need to create threats, play active. Trading pieces only helps the opponent in this case. 2. Seek to advance the isolated pawn – The break in the center often leads to an advantage. After the center liquidates, the side with better development should be better. 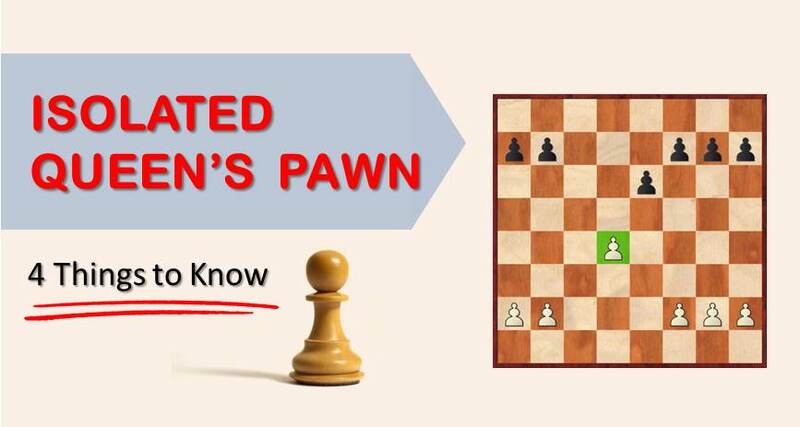 That’s the reason why one of the main plans when playing against the IQP is to block the pawn or at least to control the square in front of the pawn. 3. Development and Activity – The side with the IQP must develop his pieces in harmony and not waste any time. As mentioned in point 1, you must avoid staying passive too long or the weakness in the center will start turning the position to your opponent’s favor. In the diagram above we have a standard IQP position. What strategy should white follow? How to arrange his pieces? What is the aim? These questions are very important in order to understand what to do and what to avoid. White should arrange his pieces towards the center, with special attention to the square d5. White should always keep some influence on that square therefore the c1 bishop is often developed to g5 putting pressure on black’s knight on f6 that controls d5 and also protects the king. Later on, white can continue with his queen which usually moves either to the squares d3, d2, or e2 depending on the demands of the position. The point, of course is to connect the rooks and bring the queen-side rook to either c1 (semi open file) or to d1 behind the pawn. From d1 the rook supports the pawn and a possible advance. Once we have mentioned the most common development for the side with the IQP, it is time to think about the attacking strategy, how does white attack? Let’s do a summary of the main aggressive ideas for white. 1. Rook lift – In positions with IQP a common idea is to do a rook lift along the third rank in order to attack the opponent’s castle. 2. Diagonals – White often attacks along the b1-h7 diagonal (or b8-h2 in case black has the IQP), setting up a battery of queen + bishop working together. 3. Knight on e5 (e4 in black’s case) – The knight puts pressure on the square f7 where it can sometimes sacrifice, supported by other pieces attacking the e6 pawn. These are the main attacking patterns when you have the IQP. Of course, in practice everything is much more difficult as the elements are clashing one against another and it is your job to put it all together. However, a guide is always useful. 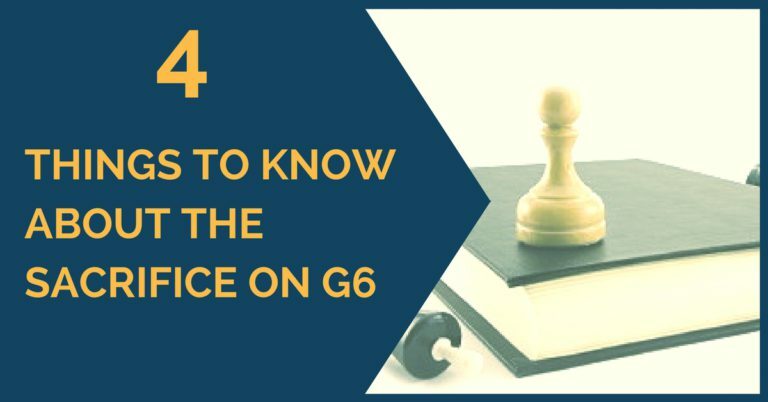 Let’s have a look now at some Grandmasters’ games which we thought would be of interest to our readers in order to see the words written transformed into actions. We can see in this game a fantastic attack executed by white with the Ne5xf7 sacrifice (Pattern number 3 of our list). A great example of the use of the rook along the third rank (Pattern number 1). This is one famous classical game which we can learn so much from. A game with many interesting themes; pay attention to how the bishop switches diagonals a2-g8 and b1-h7 in order to harm black’s kingside. Also, the rook lift along the third rank turned out deadly for black. With this we hope you have learned more about playing the middlegame with IQP and enjoyed the examples shown above. Thank you for reading and feel free to send us your questions in the comments.